As part of the Collections Care Project, Historic New England’s collection services team is cataloguing and photographing our large collection of lighting materials. Some of the most fascinating examples are part of the Watkins Lighting Collection. We acquired this collection of roughly 500 lighting apparatus in 2000 from C. Malcolm Watkins, head curator of the Department of Cultural History at the Smithsonian National Museum of American History. Collecting, research, and love of history were family passions begun by Watkins’ grandfather, Charles L. Woodside, in the early twentieth century. His daughter Lura Woodside Watkins, scholar of Colonial glass and ceramics, and her son, C. Malcolm, continued the tradition. Before electricity became common in households, people created light by burning a variety of fuels: candles, rushes, whale oil, grease or lard, and kerosene. Some could be used in the same lighting device, while others required a different type of lamp altogether. Rushlights (right), in which common rush plants were collected and stripped to expose the pith, then dried and dipped in fat or grease to increase the duration of the flame. 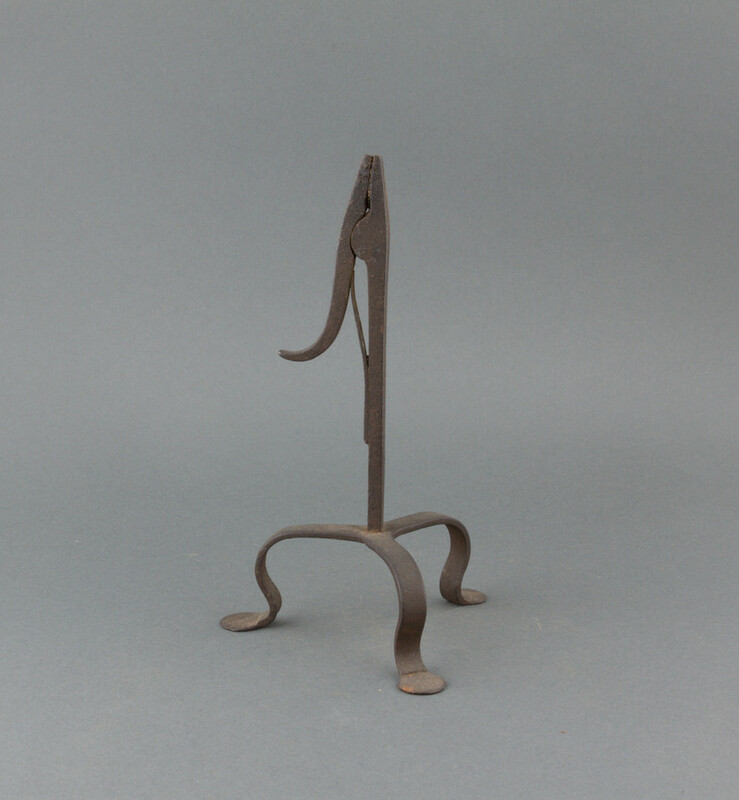 Lighting enthusiasts have embraced the rushlight, taking the moniker for their club and publication. Charles L. Woodside collected ancient lighting devices. 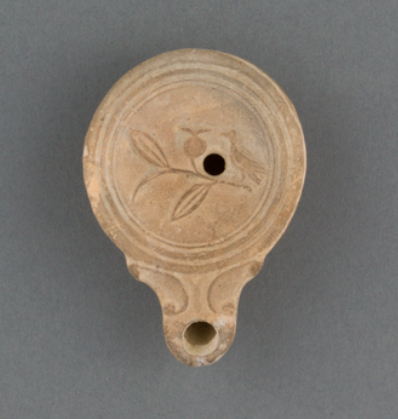 The terracotta oil lamp at the top of this post comes from the island of Cyprus, and was likely acquired through an antiques dealer in New England. These lamps burned olive oil that was abundant in the Mediterranean. In addition to preserving the Watkins Lighting Collection, Historic New England recently finalized a preservation easement on the Watkins family home in Middleton, Massachusetts. Check back for more lamps from the Watkins Lighting Collection. To help us preserve these objects and others like them, please consider making a donation to the Collections and Conservation Fund.